Are There Recovery Benefits with Disability Insurance? As a physician, your most valuable asset is your continued ability to perform the every day duties of your medical specialty allowing you to continue to work and earn an income. 4 years of school for an undergraduate degree, 4 years of Medical School and 3 to 7 years of residency/training… There is no other profession that requires as much schooling and training before one becomes eligible to work in their career. On average a physician isn’t eligible for a medical license until the ages of 28 – 33 years old. 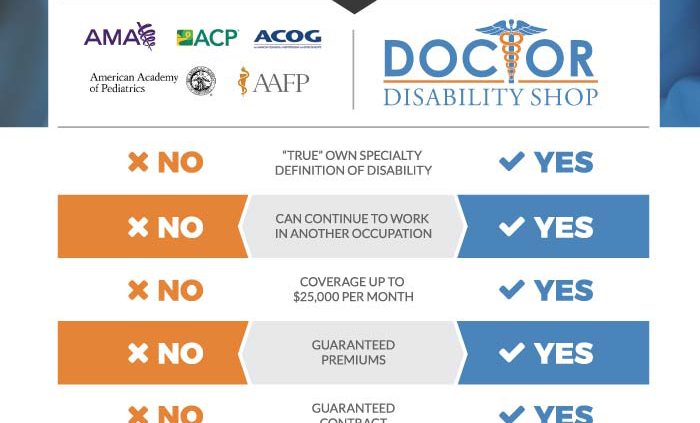 You need to protect your investment and purchase “own occupation/own specialty” disability insurance as soon as possible designed specifically for physicians. Own occupation/Own Specialty means full coverage for any sickness or injury that prevents you from performing the material and substantial duties of your specialty and does not include a restriction on working in another occupation. Total Disability or Totally Disabled means that, solely due to injury or sickness, you are not able to perform the material and substantial duties of your occupation. You will be totally disabled even if you are gainfully employed in another occupation. Currently only 6 disability carriers write policies containing this important definition: Guardian • Ameritas • Principal • The Standard • Ohio National • Mass Mutual. The insured is totally disabled when both unable to perform the principal duties of the regular occupation and NOT GAINFULLY EMPLOYED IN ANY OCCUPATION. This means that you cannot earn any other type of income and continue to collect your benefit. If you are a doctor – and you want own specialty/own occupation disability insurance – you need to stick with Guardian, Ameritas, Principal, The Standard, Ohio National or Mass Mutual. Protecting your most valuable asset isn’t cheap but some carriers offer discounts based on hospital affiliation or work location. Be sure to inquire about ways to qualify for discounts as these discounts have been none to save physicians thousands over the coarse of their careers. 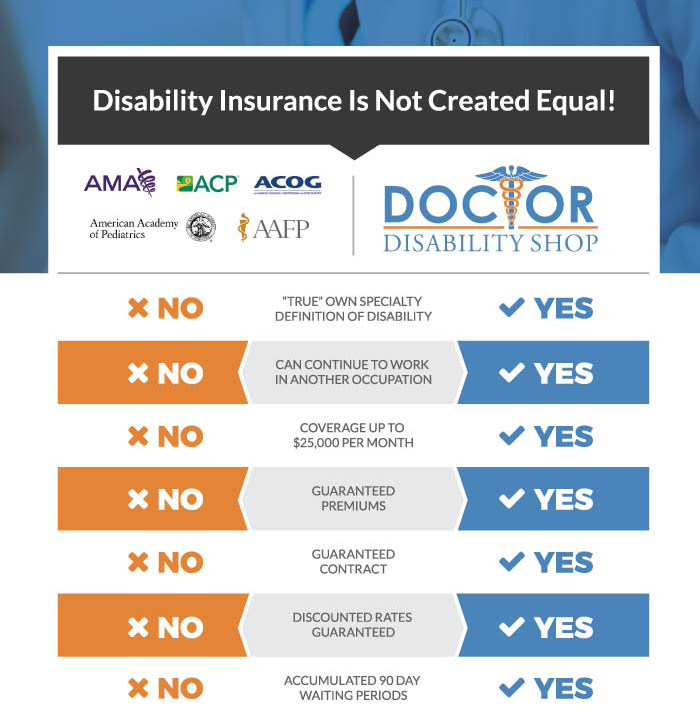 The post Disability Insurance For Doctors appeared first on Doctor Disability Shop. Copyright © 2018 Doctor Disability Shop, LLC. All Rights Reserved.